When John Harris Jr. built his family home near his father’s trading post, he likely couldn’t have imagined the city that would have been built up around the home. And built up around his home it was. In fact, the mansion, tucked behind the Harrisburg Hospital, is so hidden away by the city of Harrisburg that few even realize it’s there. The fact that the Harris-Cameron Mansion is so under-visited is quite a shame given the amazing history of the home; though, after visiting, it’s not hard to see why it attracts so few visitors (more on that later). The mansion was built by John Harris Jr., son of John Harris Sr., the first settler in the area. In 1705, Harris Sr. was granted land by William Penn to set up a trading post along the banks of the Susquehanna River to build relationships with the native tribes and encourage settlements in central and western Pennsylvania. As more and more settlers moved west through the area, Harris set up a ferry across the Susquehanna so that people no longer had to ford the wide river. Over time, the town around “Harris’s Ferry” began to grow, even as most settlers continued west. In 1766, John Harris Jr., who was now operating the ferry and trading post, decided that it was time to build a more substantial family home. Choosing a small hill near the trading post, Harris built a grand stone home. 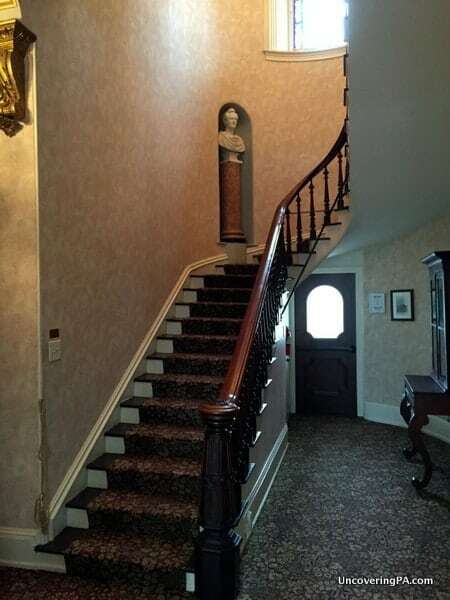 The grand stairwell inside the Harris-Cameron Mansion. As the city’s most prominent resident, the Harris Mansion became a focal point for the yet unestablished city. So, it’s not surprising to learn that the recently signed Declaration of Independence was read to the citizens of the area by John Harris Jr. from the front porch of his home. It was also inside the home that the plans for the city of Harrisburg were laid out. Harris Jr. insisted that the new city be named after his father, since it was laid out on land granted to him by William Penn. Over the next few decades, the home was lived in by several different families, and was even a women’s college. However, when the women’s college dissolved in 1861, US Secretary of War, Simon Cameron, a resident of the area, took the opportunity to snap up Harrisburg’s most historic building and bought the home. A display of Simon Cameron memorabilia tucked away in an upstairs room. Cameron, who had served several years as Lincoln’s first Secretary of War, as well as time as a Senator and the Ambassador to Russia, was one of the country’s most well-known politicians. He brought many European furnishings to the home, and much of what you see in the home today reflects his influence. During Cameron’s time in the home, one notable event associated with the home was the Grand Review. In May 1865, Union troops paraded through the streets of Washington, DC to celebrate the end of the war. However, black troops were excluded from these marches. Cameron, an abolitionist and one of the earliest proponents of using black soldiers in the Civil War, headed up a Grand Review for soldiers of the United States Colored Troops (USCT). 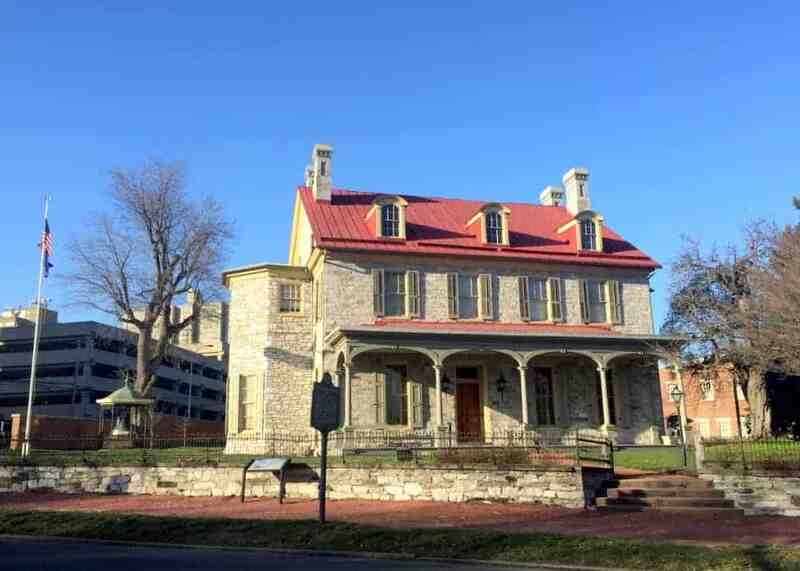 During this march in November 1865, over 7,000 USCT troops marched through the streets of Harrisburg, from near the present-day Pennsylvania State Capitol, to Cameron’s mansion on Front Street. From the porch of his home, Cameron greeted the troops and thanked them for their service. 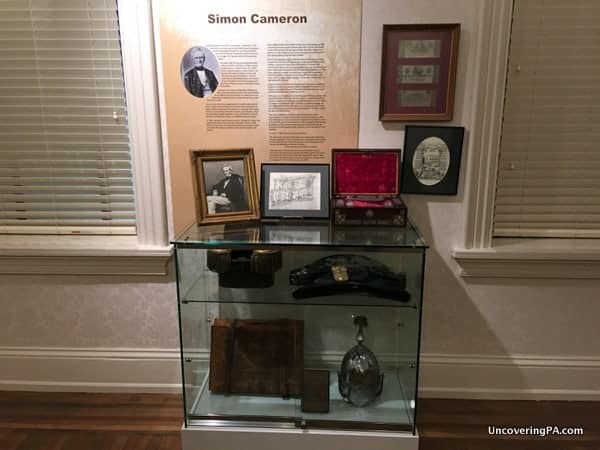 After Simon Cameron died, the house was again passed down through several owners before finally being given to the Historical Society of Dauphin County in 1941. 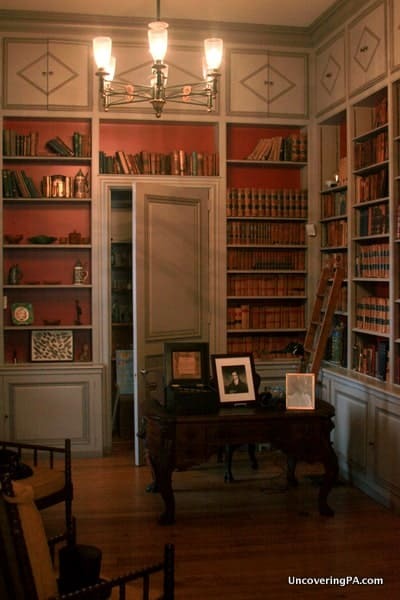 The home’s library with a Prohibition-era liquor closet hidden behind the doorway. 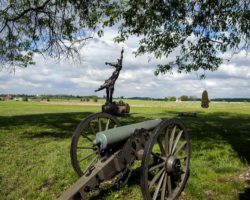 Today, this National Historic Landmark is open to hour-long guided tours several days a week that take you through the home and discuss the history that occurred here. 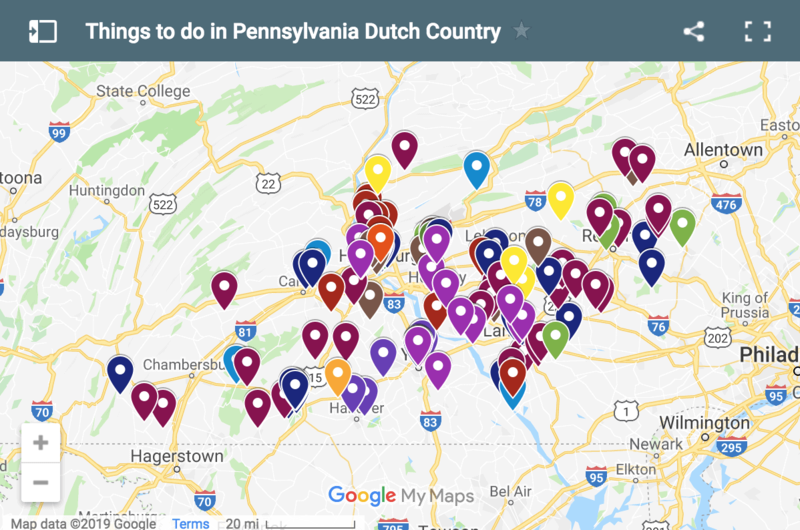 Tours take you through many rooms of the home, most set up with a random collection of furniture donated to the Historical Society of Dauphin County. One of the home’s most interesting rooms is the large parlor that still contains many of the European items the Simon Cameron brought to the home in the 1860s. Unfortunately, though, the room is typically set up for one of the mansion’s many events, making it hard to fully appreciate the grandeur of the room. The tour continues through the home’s other rooms, set in a variety of eras ranging from the 18th century to the early 20th century. 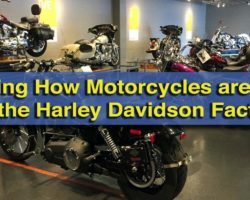 There are also several rotating displays of Harrisburg’s history that do provide an interesting look at some of the items within the Historical Society of Dauphin County’s collection. Outside the home, directly across the street in Riverfront Park, is the gravesite of John Harris Sr. 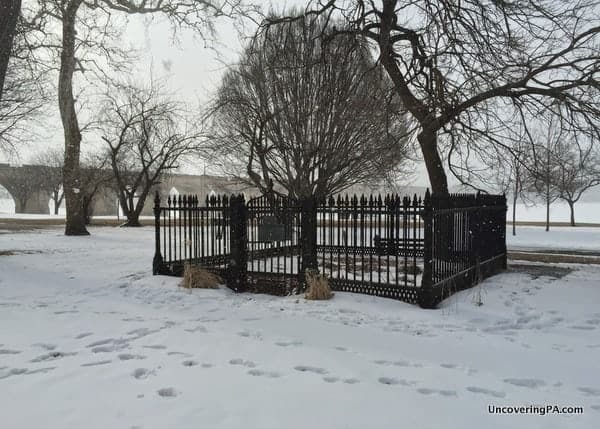 The small burial is sectioned off with a small fence, and, whether you’ve visited the home or not, it’s interesting to stop by the grave and see where the first settler of the Harrisburg area is buried. The grave of John Harris Sr., the first settler to the area, sits directly across the street from the Harris-Cameron Mansion. In many ways, my visit to the mansion reminded me of a home tour I did at the Bradford House in Washington, PA. Like that home, the Harris-Cameron Mansion has a lot of interesting history associated with it; however, because both homes lack original furnishings, a visit is more for hearing the stories about their history than seeing items associated with it. Not that there’s anything wrong with visiting to hear the stories, as I quite enjoyed the stories at both homes, but it does make it a bit harder to envision what life was like. This is compounded even more at the Harris-Cameron Mansion, where furnishings from multiple eras inhabit the same rooms. The Harris-Cameron Mansion also struggles to tell a cohesive story because they honestly try to tell too much. Inside the one home, they talk about John Harris and the founding of Harrisburg, the story of Simon Cameron, the 20th century changes to the home, as well as the history of Dauphin County. Unfortunately, while trying to tell a bit of everything, they fail to effectively tell any one story. This lack of cohesiveness, along with the home’s somewhat hidden location, make it pretty apparent why the Harris-Cameron Mansion struggles to attract visitors. But that’s not to say that I don’t think that the unique history of the Harris-Cameron Mansion should be overlooked. Far from it, actually. For any lover of local history or those interested in the founding of Harrisburg, a visit to the home will definitely give you the opportunity to experience some fascinating history. 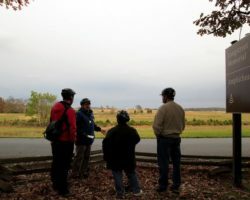 However, until a bit of attention is put into figuring how to tell a cohesive story amidst the home’s long history, it probably doesn’t make a must-visit list for visitors looking for things to do in downtown Harrisburg. Note: My visit to the Harris-Cameron Mansion in Harrisburg was hosted by the Historical Society of Dauphin County. However, the opinions expressed are my own. Want to learn more about the history of the region? Visit the York History Center, the Cumberland County Historical Society Museum, and the Pennsylvania Fire Museum. I am president of the board at the Historical Society of Dauphin County. Thank you for your visit to the Harris-Cameron Mansion and for your insights. First, may I say that the official name of the historical society is “Historical Society of Dauphin County,” and it is not called by the other name you used. Secondly, it is open the weekdays you mention and the second SUNDAY, not Saturday, of each month, as reported in your sidebar. We appreciate your observations regarding the house, its stories, and its furnishings. 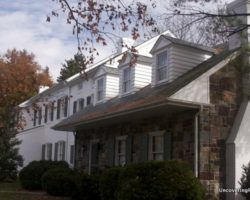 When the house was given to the historical society it became simply a place to exhibit all of the collections of the society, regardless of their era. In recent years, there have been efforts to create a more authentic house museum. But as you pointed out, frequent events require that gathering spaces be flexible or indeed unfurnished most of the time. What we really need is a museum building to display our county-related artifacts, reserving the house to tell the story of its famous inhabitants. We are proud of recent restoration efforts (as evidenced by your exterior photo) financed by both private and public grants and gifts, and we have plans for important restoration projects inside. In addition to the house, we administer a research library with archives, manuscripts, and over one million photos and negatives. It is open for genealogical and other research the Monday-Thursday and the second Sunday of the month from 1:00 p.m. to 4:00 p.m.
John, Thanks for the corrections. My apologizes for that. They have been fixed. You all have been doing a great job restoring the home, and I strongly believe that it could be a great destination for visitors to Harrisburg. A second building would be ideal, but there are obvious issues with that as well. I wish you luck in continuing to improve the museum. So many hidden jewels that once discovered shed so much light on what really happened “back then” in a broader context. Hello again, Jim. It’s been over a year, and much has changed at the Harris-Cameron Mansion. Our exterior restoration is complete, several of the historic rooms have been re-decorated with wallcoverings and paint appropriate to the era, and furnishings have been brought out of storage to create a Colonial-era bedroom reflecting the early Harris occupancy. Other rooms have been fitted with objects and artwork that might have been seen when the house was occupied. Considerable research has gone into creating gardens appropriate to the Victorian era, and work has already begun on that. New brick walks have been installed, and numerous other improvements made since your visit. I hope you will come again and see what’s new — or old — and improved!